I love pulling out a beautiful mirror for touch ups on the go, and when your mirror compact is as luxe and dazzling as Bobbi Brown’s new one for holiday 2013, who could keep it in their purse? The bejeweled, gilded case was created in collaboration with Lulu Frost, and is in store now and exclusive to Bobbi Brown Britomart in New Zealand. The limited edition piece of gorgeousness will sit alongside the Old Hollywood Collection for Christmas gift giving. Lisa Salzer, the talented bijoux designer behind Lulu Frost, said the partnership with the Bobbi Brown came about completely organically. “She bought a necklace of mine and wore it out to a wedding and loved it,” she told ELLE.com. “She actually called us afterwards and from then on, a great relationship was born.” When Bobbi Brown decided to base her holiday collection around Old Hollywood, a collaboration between the two was inevitable. 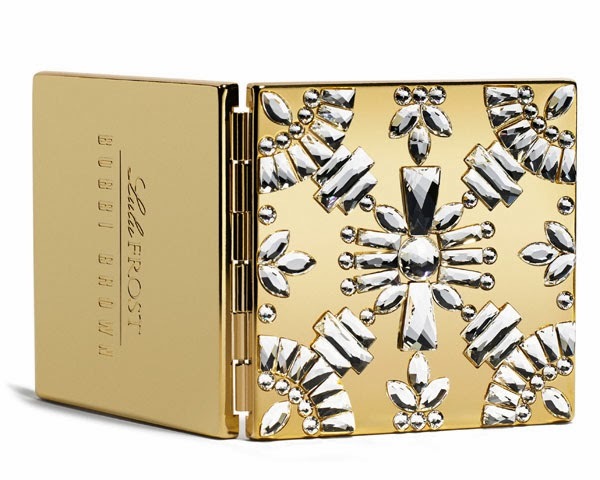 The Bobbi Brown X Lulu Frost is in store now and retails for $400.00.